ORK Framework comes with a save game system that allows saving all in-game data – the data can be encrypted and either be saved to PlayerPrefs or to a File. You can save the game at Save Points (a component added to game objects in your scenes), through the menu system or using the event system. 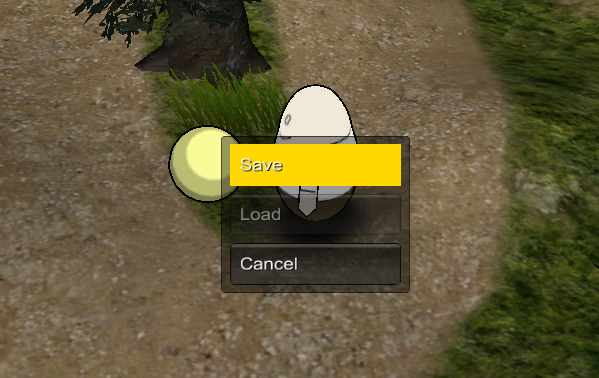 Beside saving the game to save slots, you can also use an autosave slot and a retry slot. While the autosave slot is also saved permanently, the retry slot is only available during a running game. Open the ORK Framework editor and navigate to Menus > Save Game Menu. All save game related settings can be found here, so let’s change the following settings. The settings for the actual save game files/data. This determines how many save games a player can have. The save game will be saved to files in your game’s persistent data path. The actual path depends on the OS your game is running on, see the Unity® documentation for details. The save game data will be encrypted. Else, the data would be available in plain text and could be altered by the player. During development, it can be a good idea to keep it in plain text to do changes if needed. These settings handle the screen fading when loading a saved game. We can just stick with the default settings. You can define what a save game will save of the running game. Also, you select if some of the scene data (like dropped items) will be kept during the running game – else they’ll be gone when you leave the scene. By default, the save game will save everything beside dropped items (they’ll be gone when leaving the scene or loading a saved game). Let’s take a look at them. The statistics of the game will be saved (i.e. number of killed enemies, etc.). The time since starting a new game will be saved. If disabled, the game time will be reset when you load the game. The player groups will be saved – i.e. all your group members, their levels, status values, equipment, etc. If disabled, the player group will be gone and you’ll have to define a scene to load when loading the game. The faction sympathies will be saved. The learned logs will be saved. The position of your group members in the scene will be saved. The Scene Data will also determine what data is kept when changing the scene in the running game. The content of item boxes (i.e. Item Collectors with Box type selected) will be saved. Collected items will be saved (using their Scene ID) – i.e. collected items wont reappear. Items dropped into the game world will be gone once we leave the scene. Already fought battles will be saved (using their Scene ID). The content of shops wont be saved. You can set up shops to keep the items you sell to them and allow you to buy them back. Object game variables will be saved. They are like game variables, but they’re bound to game objects using an Object ID. Scene positions will be saved. They allow storing a position in a scene for later use, like remembering the position before teleporting away and return to it later. The Inventory Data determines what will be saved of the player’s inventory. Items in the inventory will be saved. Weapons in the inventory will be saved. Armors in the inventory will be saved. All types of money/currencies in the inventory will be saved. The Game Variable Data determines what game variables will be saved. You can save none, all or only selected variables (or exclude selected variables). All game variables will be saved. These settings are used to set up the content of file buttons displayed in the save menus. The File Info is used to display a saved game. You can use special text codes to display information about the saved game. The Empty File Info is used to display empty save slots. Beside the save slots, ORK Framework also allows automatic saving of the game, e.g. when passing a checkpoint, or regularly saving using global events. We’re not going to use this in our small game. These settings define the look of the menu to save the game (i.e. selecting a save slot). Set to Select the save slot:. A question dialogue will be displayed before actually saving the game. Set to Save to slot %?. We don’t want to display an info after the game has been saved. These settings define the look of the menu to load a saved game. Set to Select the load slot:. A question dialogue will be displayed before actually loading the game. Set to Load from slot %?. We don’t want to display an info after the game has been loaded. These settings determine the options and the look of the save point menu. The save point menu is displayed by Save Point components. The save point menu will be displayed. Else, the save game menu is displayed directly. And that’s it, click on Save Settings and close the ORK Framework editor. Open the town scene (1 Town) and add a new game object to your scene. 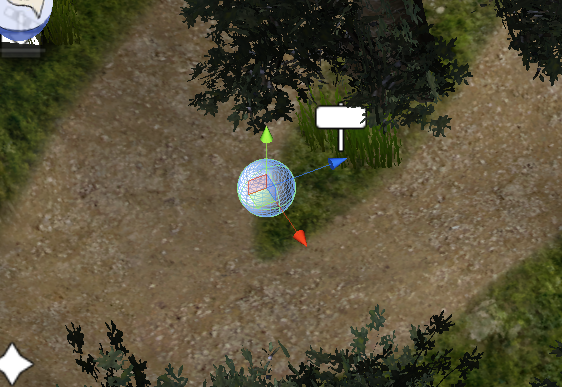 I’ve added a simple sphere (using the Unity® menu: Game Object > Create Other > Sphere). The save point’s settings are already set up for us, but let’s take a look. You can use this setting to use the save point as an Autosave or Retry point – e.g. in combination with the Trigger Enter start type. Additionally, you can use variable conditions to make a save point (or autosave/retry point) available only at a certain time in your game – and set a variable when saving the game. Open the main menu scene (0 Main Menu) and hit play. The new save point will let you save and load the game. Try doing something – like fighting the first battle or accepting Blue Pants quest – and save the game. When you load the game again, you’ll see that your progress in the game has been saved. And that’s it for now – the next lesson will cover shops.